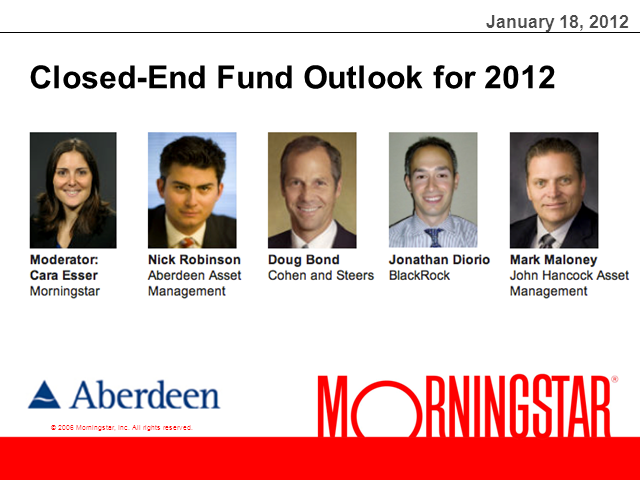 CEF industry experts provide their closed-end fund outlooks for 2012. They will discuss market volatility, distribution trends and where the best CEF values lie. Audience will get insight on what to expect from specific CEF asset classes and investment styles.